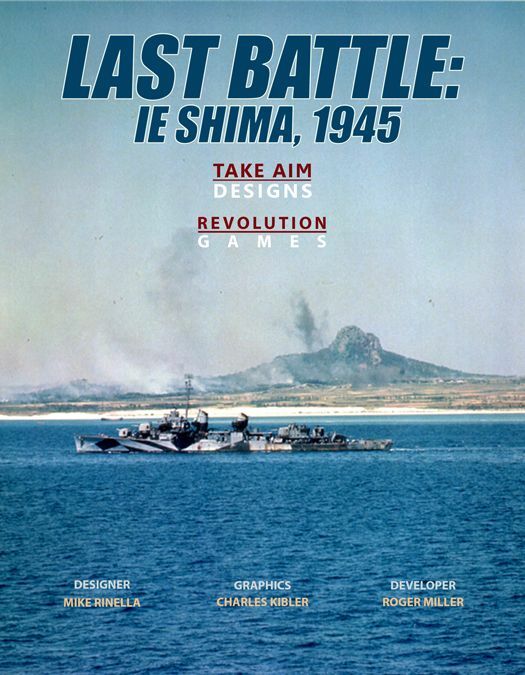 Last Battle: Ie Shima, 1945 is a two-player game that simulates Operation Indispensable, the American invasion of the Japanese island of Ie Shima (Iejima or 家 島), April 16 to 21, 1945. The American player has plenty of well-trained infantry at their disposal. What they do not have in abundance is time. The island and its vital airfields must be conquered quickly to allow the 77th Infantry Division to be transferred to Okinawa as soon as possible. Even so the American side must achieve its mission with no more than a modest number of casualties otherwise the 77th will be in no condition to relieve the 96th Infantry Division on Okinawa as it did historically. An economy of force approach must be adopted and assets such as air power, armor, artillery, and the American Navy all used to maximum efficiency. The Japanese player has a mixed bag of forces ranging from regular army units to airfield construction personnel to island civilians. Defeating the invasion at the landing beaches isn’t the goal so much as making the invaders pay as high a price as possible. With this in mind the Japanese player must focus their defense on the best terrain—primarily Mount Gusuku and the urban areas adjacent to it—but always be on the lookout for opportunities to upset the American timetable with judicious placement of machine gun nests and pockets of civilian resistance behind American lines. 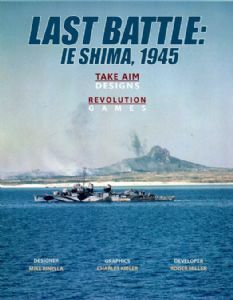 The island’s artillery possesses the capability to inflict attritional losses on the invaders, and the threat of a kamikaze attack on the 5th Fleet is something the American player must account for. The arrival of night each turn opens the door for small Japanese assaults which, along with satchel charges, might produce a local victory as happened historically at Bloody Ridge, or at the very least see the American player surrendering control of the advantage marker to demand a reroll. Changes in the weather are random, but the arrival of rain benefits the Japanese side, as does the appearance of rubble in urban areas. An optional rule allows players to experience the uplifting presence of Ernie Pyle being close to the front and the leadership provided by Major Igawa personally joining the combat, though at the risk of seeing these historical figures killed in action.